Ah, Mozart! It’s difficult to name just one favorite composer, particularly with Bach and Beethoven, Haydn and Handel and one or two others in contention; however Dottore Gianni can say that he simply adores the music of Mozart. The word sublime should be used sparingly and with care, but in the good doctor’s (and my own) book, Mozart often enters that very rare atmosphere. I can definitely say, now that I’ve seen the Greenville Symphony (GSO) in all of the manifestations it offers us (groups of 2-5 players in intimate chamber settings, 35 to 40 members playing chamber music in the cozy Gunter Hall, and the full orchestra in the concert Hall of the Peace Center) I most enjoy the ensemble in the middle. It’s not that the acoustics are better, that the playing is stronger, it’s largely the atmosphere created by Maestro Tchivzhel. Readers may remember from my blog of about a month ago that I described his jovial personality as he chats knowledgeably and wittily to the audience about the music just before he conducts it. He doesn’t do that in the much more formal large concerts, and he isn’t present at the tiny ensembles. Musicians performing in the in the intimate space explain something about the music, but their words do not have the same effect as Tchivzhel’s lively introductions. It makes all the difference in the world. I found myself laughing out loud on several occasions yesterday afternoon – one example – the Maestro was explaining the three dances that were played just after intermission. 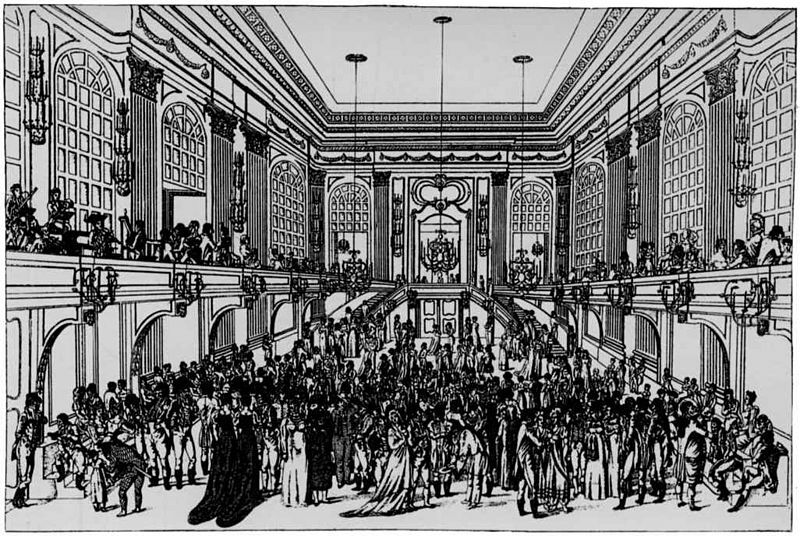 He referred to the relative roughness of the dances compared to other dance music in Europe, and the intimacy of the dancing as well; they were peasant dances, in fact, albeit musically very sophisticated. Tchivzhel said that they could be called, in today’s lingo, “dirty dances.” Not bowled over with laughter? I can’t convey his delivery, but his timing, in slight pauses for example, is pitch-perfect, and his accent, pronouncing those two words…it comes out something like “dortih-dences” (and roll the “r” please) …is delightful. I have certainly heard finer ensembles, though the GSO is really really good, but I don’t think I’ve ever been so completely comfortable in a concert of classical music as I have been on the two opportunities I have had to hear the GSO’s “middle” group. And there are three more such concerts this season. I’m champing at the bit! that of The Marriage of Figaro. At the end of the piece and after a burst of applause (led, I believe, by me), Tchivzhel did address the audience, but not about the overture. It could have slipped his mind, as he had a rather important change to announce in the order of the program, but I will say that, despite adequate written program notes on it I had to recover from slight disappointment at not hearing the conductor on the first piece. So I will remedy that by writing a bit about it myself, just below! I want to quickly note that the program for the first half of the season (through December 2012) was made up as early as late this summer, and certainly no later than mid-September, as the first concert listed, “Made in America” (the only one I did not see) premiered on 22 September. So, however the early decision was made, Tchivzhel changed it at some point, and he was right to do so. 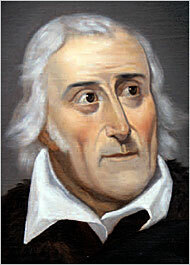 Dottore Gianni always likes to include a brief biography of the composers in question, but hesitates to do so with Mozart, as his life is so well known: born is Salzburg he was a prodigy in his childhood, touring to the courts and major cities of Europe from a very early age. 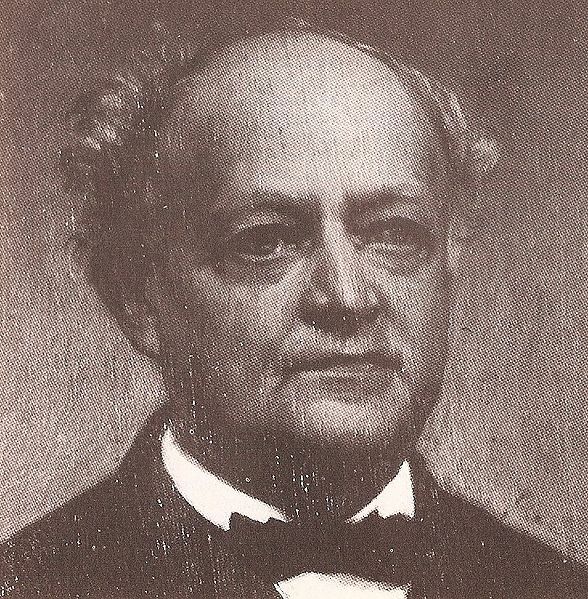 His life as an adult was not as easy, because after he left Salzburg this genius found it difficult to gain steady employment and was constantly plagued by lack of money and rising debts. 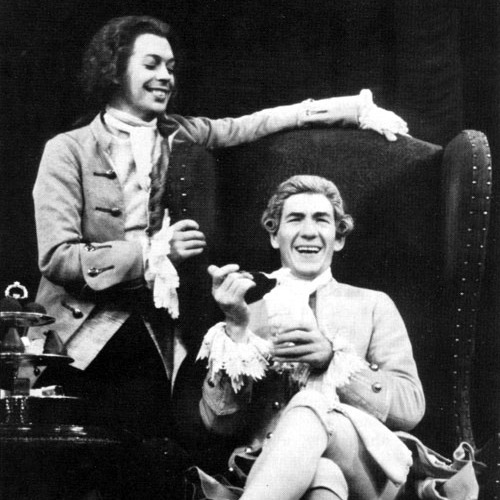 Part of this was his own fault as he insisted on an extravagant lifestyle, but rivalries with other composers, most famously Salieri, added to his fiscal woes. He lived most of his adult life in Vienna, and died young (his dates are 1756-1791) most likely of rheumatic fever and was buried in a pauper’s grave. One part of his life has something to do with two of the works in this concert, so a few comments on period might be in order. 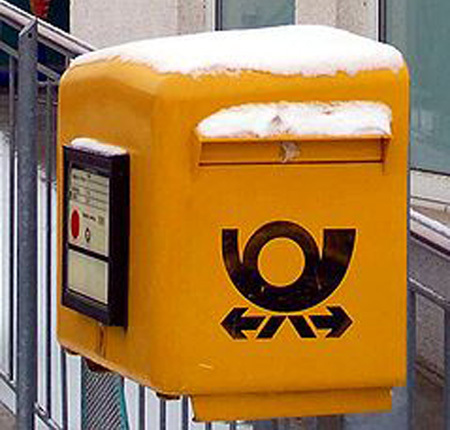 Salzburg was run by a prince-bishop, and had been since the Middle Ages. This combination in a leader may seem odd to us today – certainly rules out separation of church and state! But it was not unusual throughout Europe in the era we are examining. 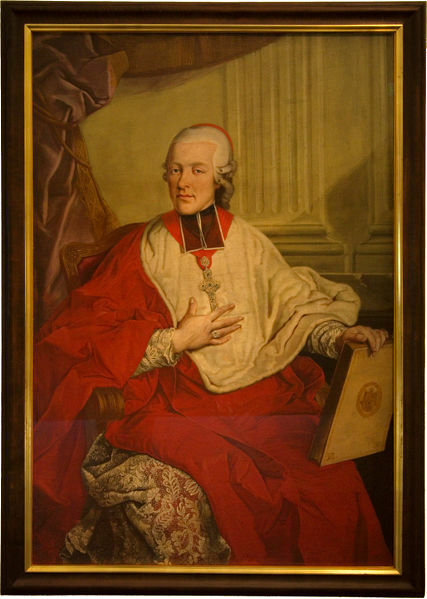 The holder of this position during Mozart’s lifetime was Prince Archbishop Hieronymus Colloredo, and he employed Mozart as a court musician. Dottore Gianni loves it when he can connect life and art! As promised, the good doctor will now ruminate briefly on The Marriage of Figaro. He is of course an expert, as he has taught the fine French play by Beaumarchais and also the great Mozart opera on several occasions in his amazingly adequate seminar “A Tale of Two Theatrical Cities: Literary, Visual & Performing Arts and the French Revolution.” While the play was performed in 1784, five years before the Revolution, it was thought of as, and called by Louis XVI and Danton in very different contexts, a play that provoked revolution. Louis, finding it outrageous, provocative and dangerous, attempted to ban it. 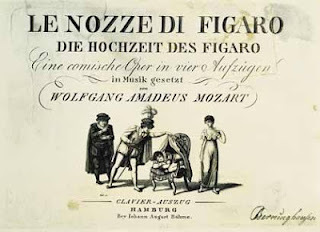 but the point here is that Figaro the play WAS in fact a catalyst for the French Revolution, and Figaro the opera was trimmed of political sentiment by the excellent librettist Lorenzo da Ponte, who knew that were it not self-censored, the rulers of Hapsburg Vienna would either censor or ban it outright. Da Ponte, by the way, also penned libretti for Mozart's Don Giovanni and Cosi fan Tutte - quite a collaboration! Point of Order: If any of Dottore Gianni’s regular readers are feeling a sense of déjà vu, or an echo-effect, at this point, you are right to do so, as the above passage (from the Louis XVI quote forward) was LIFTED from an earlier blog, Bloggo Orchestrale). In attempting to describe the revolutionary aspects of Beethoven’s Fidelio in the section on the Leonore Overture, the good doctor became a tad carried away and wrote about The Marriage of Figaro. He repeats it here, first, as it is more appropriate to this piece, and second, it is easier to copy earlier remarks than to create new ones, correct? Non è così? I will add a few more thoughts, these from the program notes, which remind me that because Austrian Emperor Josef II had already banned the play, Mozart and librettist, da Ponte, worked secretly and briskly, finishing the opera in a mere six weeks. It was tremendously well received at its premiere at the Burgtheater in Vienna on 1 May 1786, but despite this was performed only nine times because of behind-the-scenes machinations my Mozart’s jealous rival, the composer Salieri. 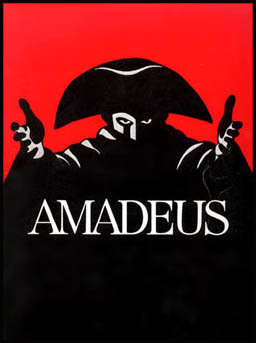 See Amadeus, preferably the play by Peter Shaffer over the somewhat diluted and slightly dull film version. As for the overture itself, Maestro Tchivzhel took the energetic work at a brisk, ebullient pace, the orchestra followed his lead (as what orchestra would not do, or at least try to do?) and the piece was well-presented indeed! Bravi! The only slight sadness Dottore Gianni feels (aside from Tchivzhel’s refusal to comment on the music) is that the opera did not begin just after the overture, with Figaro’s measuring a room and his first simple words, “Cinque…dieci…venti…” and so on – what a wonderful opera! But, one can’t have everything, can one: So! On to the Posthorn Serenade. First question to be answered: What is a serenade? Well, it’s a musical composition and/or the performance of that composition in someone’s honor. Probably the most familiar form of serenade is that in which a man or men with instruments (usually guitars or lutes) stand outside a woman’s window and sing a song of praise to her in an attempt to woo her. This form of love-making began in the middle ages, and continued for centuries. Another Figaro opera, The Barber of Seville by Rossini, includes such a serenade. And who knows? Perhaps a few hopeless romantics are still doing it today, much good it will do them. Ha! Excuse me. 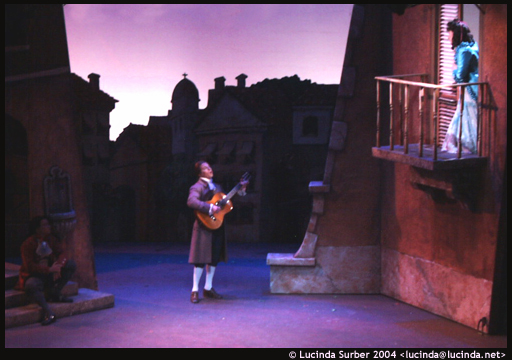 In the Baroque Era composers such as Scarlatti composed serenatas in cantata form (sung music accompanied by instruments) in an outdoor setting, movin the serenade in a slightly different direction. In the Classical and Romantic Eras serenades were usually works for instruments only, played by relatively large ensembles, and in the Classical Era guess who was the master of this form? Of course it was Mozart, who composed 12 serenades (then why is there a number 13? Because there is no number 2 - aha!) in anywhere from three to eight movements. The Posthorn, which has seven movements, is hardly Mozart’s most famous serenade. The Haffner Serenade is better known (he also wrote Symphony No. 35, called The Haffner, so don’t get these two Haffners confused) and his most famous serenade (one of his most famous works in any genre) is Eine Kleine Nachtmusik, which is somewhat unusual among serenades in that it makes use of only stringed instruments. Romantic serenades were not all that different, and were written by many great composers including Brahms, Dvorak, Tchaikovsky, Richard Strauss and Sibelius. Fewer serenades were written in the twentieth century, exceptions including those written by Britten (for tenor, horn and strings), Stravinsky (for piano) and Schoenberg for baritone and septet), along with a handful of others. Note that two of the three noted in the twentieth century returned to the use of a vocal element as well as instrumental. Second question to be grappled with: what’s a posthorn? You guessed it - a posthorn! Well, as any schoolboy knows (although Dottore Gianni had to look it up), it is a valveless (or as Tchivzhel put it “widout wolwes”) cylindrical brass or copper instrument with cupped mouthpiece, used to signal the arrival or departure of a post rider or mail coach (thus saith Wikipedia), primarily in the 18th and 19th centuries. While most orchestras substitute a cornet or Flugelhorn for an actual posthorn, which instruments are rather rare, we were treated to the real thing on Sunday! The savvy reader will note the symmetry of the piece, with two minuets (in second and second-to-last position) and a rondo in the middle of the piece. It’s all a rather lively affair, with the notable exception of the fifth movement, the Andantino, in which the music takes a very melancholy and dark turn. In the sixth movement there is a rather unusual solo by the piccolo and an even more unusual one by the posthorn (not musically unusual; unusual in that a posthorn is being played). By the way, the posthorn’s moment is short enough that just before the instrument is heard the horn player walks onto the stage, plays his piece, and then leaves, returning only for the bows. The final movement caps the piece in a lively, rousing manner, and as usual, the GSO acquits itself marvelously. After the intermission we heard more from the Maestro, this time about the “dortih dencing” I mentioned close to the beginning of this post, as he explained the Three German Dances, K. 605. He noted that German were rougher in nature than dances composed in other parts of Europe at the time, suggesting the peasant origins of the dances. In the last of the dances sleighbells are rung by three different percussionists, and at the same time out comes the posthorn again! Beautiful in a rustically charming manner. 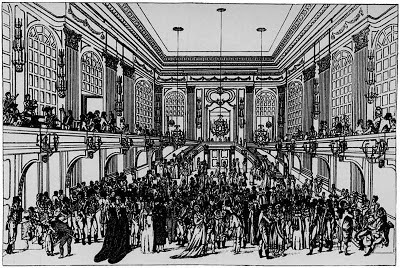 Perhaps the most notable aspect of these dances is their joyous and exuberant nature, even though they were written in 1791, just before Mozart died. Considering the desperate situation, the abject poverty the composer found himself in at the time, the lightness of these pieces comes as a bit of a surprise. Ah well, however sad the contrast between his music and his life might make us (and it makes Dottore Gianni very sad indeed), the orchestra was once more in excellent form throughout. 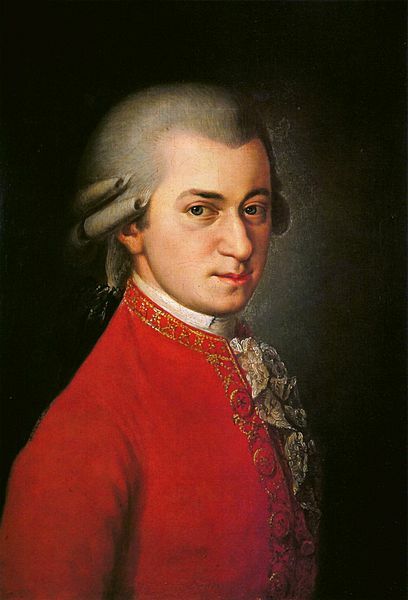 However, the second movement that Mozart wrote was not short enough for the conductor of the concert, and he insisted that Mozart shorten that before it could be played for the public. Mozart quickly re-wrote the andante movement in compliance, the shorter version of the second movement was played, and all went very well at the performance. Tchivzhel let the audience know that he had more confidence in us than in the French, and that he had decided to play the original second movement rather than the shorter one that Mozart gave the Parisians. He also told us that in the last movement Mozart surprised the audience by beginning the allegro (which generally indicates that the entire orchestra begins the piece in unison) with only two violins, but then quickly moved to brisk, dizzying and difficult string passages that were applauded by the French audience during the piece! Tchivzhel told us that we too could applaud during the piece if we liked, teasing us in a way, as he was fairly certain that no applause would interrupt the wonderful music, and he was right. But that was not because the orchestra did not play well. They played very well indeed. And once more I note that the Maestro was absolutely right to end the concert with the Paris Symphony. The entire concert was excellent, but the “Paris” gave us the most pleasure possible! However it was not quite the end! There was an encore (in the sense of something extra, not something repeated), and to the encore the Maestro added a challenge: the first person to be able to identify the music would receive two free tickets to any of the remaining concerts this season. He asked that the piece, which was very short, as most encores are, be allowed to finish, but that immediately those who thought they knew it should instantly rise. All this occurred, and the person who rose first was called upon by Tchivzhel. Sad to say the woman guessed, and guessed wrong: “Eine Kleine Nachtmusik!” The conductor paused, shook his head and without being mean-spirited about it told her that she was wrong. Then another woman spoke and got it right, to a point: “The Turkish Rondo!” “Yes!” agreed Tchivzhel, “but what is the name of the entire piece?” Silence, then Tchivzhel again: “She does not know!” (Remember his accent as you read these quotes!) He called on a third person, and this one, a heavy and heavily bearded man called it correctly: “Piano Sonata No. 11.” Yes, the third movement to be précise and scored obviously for orchestra, not inappropriate as the “alla Turca” style popular at the time was based on music played by loud Turkish bands. Success! As the orchestra played a portion of the piece the winner was made to walk down to the podium, the Maestro gave him a voucher for the tickets and shook his hand, more applause, and with general joy and good fun the all-Mozart concert came to a lovely end. But this blog will not end without a brief coda: What does the letter K refer to in the titles of all Mozart’s works? Briefly, it is similar to “opus”, and is the beginning letter of the name of the man who took the time and considerable trouble to list those works, as near as possible chronologically. The Köchel-Verzeichnis is a catalogue in 24 parts (broken up by the different forms Mozart wrote) of the composer’s 626 musical works meticulously arranged by Ludwig von Köchel ( the o-umlaut indicates a pronunciation approximately like this: KER-kel or KER-shel). The list has undergone revisions but remains the authoritative listing of this great composer’s many works. So, thank you Herr Köchel! And thank you for reading! The next GSO concert is not, sadly, until mid-January, but look for more from me on this fine orchestra early in the new year. And probably on other topics well before that.